© 2010 - 2017 New World Interactive LLC. 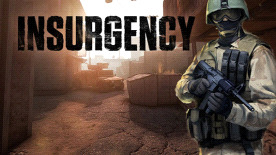 Insurgency and related logos are registered trademarks or trademarks of New World Interactive LLC. in the U.S. and/or other countries. All other trademarks or trade names are the property of their respective owners. All Rights Reserved.